Any North Korea watcher worth their salt knows that North Korea and Western countries has a problem with definitions. What denuclearization means to one is quite different from what it means to the other. Despite having decades of experience with North Korea, successive US administrations appear to know that this difference exists but have refused to adjust their actions accordingly. Well, North Korea just made it impossible to ignore the reality of the situation. This provides an all too clear meaning to the otherwise vague terms agreed to during the June Trump-Kim summit, and to the many other general agreements signed over the years. When America talks about denuclearization, it means no nuclear or long-range ballistic technology for the North. It means no peaceful nuclear power capacity that could be converted to weapons use. It means North Korea pledging to never engage in preemptive attacks. From the perspective of the North (as reinforced by this latest announcement), denuclearization means the removal of the United States’ nuclear umbrella over not only South Korea, but Japan as well. It means an agreement by the United States to never launch a preemptive attack (nuclear or otherwise) against the DPRK. It means the United States drawing down its forces in South Korea and the removal of nuclear-capable bombers from the country (there are no nuclear weapons stationed in South Korea). And it means that the path toward denuclearization must be taken across the whole peninsula, jointly, and accompanied by sanctions relief as Pyongyang is loathe to take any action without some kind of reciprocal action by either (or both) South Korea and the US. North Korea has shown that it prefers joint action over the years, but that it will quickly revert to bellicose language and even take military actions if they don’t feel like the other side is keeping its end of the deal. Continuing inter-Korean cooperation is evidence of this. At the same time, their language has shifted regarding the United States as the US has, in the northern mind, only given token concessions while North Korea has refrained from any nuclear or ballistic testing since November 2017. I feel it’s important to quickly discuss why nuclear weapons are so important to the DPRK and why the regime seems quite content to let their people starve while they spend billions of dollars trying to acquire these weapons. Korea as a whole has always been a “shrimp squeezed between two whales”. It has long had to stave off being the play thing of Japan and China, and since WWII, it has had to contend with Soviet/Russian and American influences. Kim Il Sung began North Korea’s nuclear ambitions practically from day one of liberation from Japan. 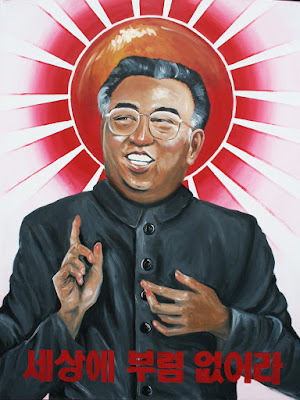 It was spurred on after the devastation of the Korean War and has slowly become incorporated into the national psyche. Nuclear weapons are seen as the final guarantor of the regime’s survival, as countries that gave up their nuclear ambitions have a history of falling to the United States (namely Gaddafi’s Libya and Saddam’s Iraq). Generations of North Koreans have grown up with government propaganda praising the importance of nuclear weapons, spurring them to take on greater hardships to enable their development. And the leadership has spent generations promising to deliver them and promising that achieving such a goal will also guarantee national economic strength and put and end to hardship. For the regime to relent and simply turn over everything after they have finally constructed dozens of functional warheads as well developed needed missile delivery systems would be seen as a betrayal of the people. 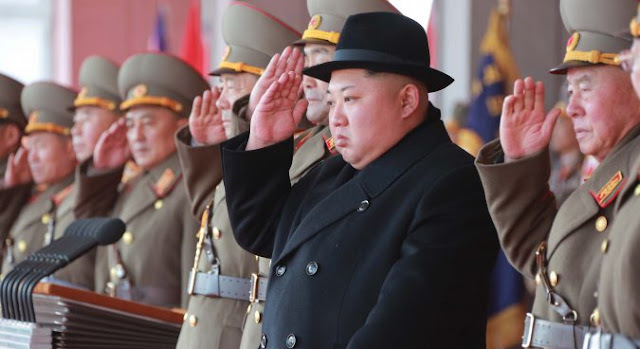 Kim Jong Un must been seen to get security assurances and to get the United States to step back before taking any concrete steps toward true disarmament. Otherwise, he risks losing everything and a stable rule is the only thing that matters to the country’s elite. That’s why it should come as no surprise to anyone who has observed the country for more than five minutes, that North Korea will continue the operation of hidden missile bases, continue the operation of nuclear facilities, and continue to develop and expand their conventional military forces until such time as real, highly detailed and specific agreements are signed. Getting full, verified, and permanent denuclearization up front is basically like trying to eat an elephant in one bite. As the moral implies, though, you can only accomplish a major goal if you take lots of small bites. The United States has been preoccupied with getting North Korea to comply entirely and immediately while ignoring the reality of the matter. Nuclear weapons to North Korea aren’t like some random weapons system the US may discard because it’s too costly or the technology fails. Nuclear weapons are intimately tied to the country’s identity and their belief that it ensures their survival. The decades-long game we have been playing has resulted in failure. They will never give up their weapons overnight and it’s time we came to understand this. Achieving the goal of denuclearization is one that may take years of consistent work and countless small steps. Trust building measures are a must. Understanding that North Korea will likely deflect, obfuscate, and outright lie in the process must also be expected. However, it’s these small steps that will lead to ultimate success. We can’t underestimate the value of trust building measures or small steps. To quote the Bible, “despise not small beginnings” (Zechariah 4:10). 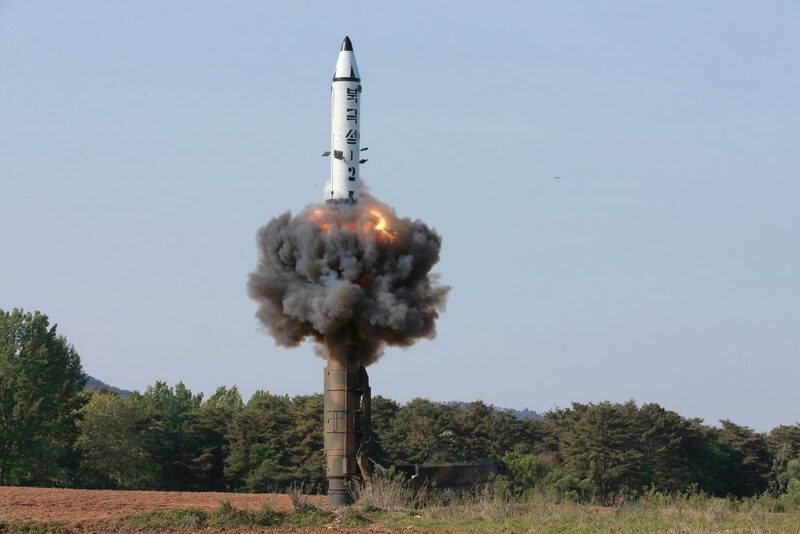 Recent examples of these small beginnings, taken by both Koreas, is evidence that they can deescalate, defer further testing and cross-border attacks, and accomplish the dismantling of a portion of the DMZ. In other words, from North Korea’s view, it’s up to the United States to make bold concessions for every bold concession they demand from North Korea, otherwise, we're all just wasting our time. As I said, reaching the full goal may take years. In fact, it may take an entire generation. New ways of thinking and having the willingness to act outside of the tried and failed current box of tricks will take time to permeate leadership and bureaucracies. The question is will we create an environment that gives us the time needed, or will we continue shouting at each other until someone makes a very big, very bad mistake? The number of border crossings a country has and changes to them allow analysts to better understand things like relations between countries and anticipated future trade and travel. For North Korea, observing what happens along their border with China (and even their tiny border with Russia) provides an out-sized insight into the workings and intentions of the regime. The #AccessDPRK project identified 27 current and former border crossings (some could easily be reconnected). Several DPRK-China crossings have been expanded lately and those will be the focus of this post. An exploreable Google Map is located at the bottom of the article showing all the of the border crossings. As always, click on an image to see a larger view. 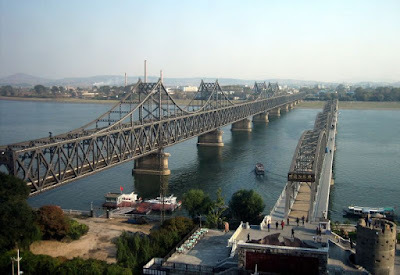 North Korea's key border crossing is the Sino-Korean Friendship Bridge that connects the North Korean city of Sinuiju and the Chinese city of Dandong which lies across the Yalu River. It was constructed by the Japanese (under a different name) during World War II and carries roughly 45% of all trade between the two countries. In 2011 construction started on the New Yalu River Bridge, 8.3 km downriver from the old bridge. The bridge was supposed to cost $350 million and have opened in 2014, however, the bridge is still not completed and ends in an empty field on the North Korean side. The bridge was supposed to link a special economic zone (SEZ), which would enable thousands more vehicles to cross each week, but the SEZ has yet to be realized. In 2015 a new park area (that includes a water park) was constructed by the old bridge. Additional plans (on top of multiple others going back many years) for Sinuiju have been placed forward by Kim Jong Un, which would see scores of new apartment blocks constructed, new factories, and recreational sites as well. Kim's stated goal is to turn the city into a "gateway city" and would have the plan completed in 5 years. Between 2008 and 2013, the border crossing here was expanded. After a major 2016 flood, the site was repaired and the city also experienced large-scale changes (in part to help facilitate the growth of the personality cult surrounding Kim Jong Suk, the grandmother of Kim Jong Un). This side-by-side comparison shows the substantial enlargement of the administration and customs buildings on the North Korean side between 2008 and 2018. The crossing bridge itself hasn't changed, but now the country has greater control over what crosses (for combating smugglers) and makes more efficient use of the site. Twenty-seven kilometers up river from Hoeryong, is the small town of Sambong. The border crossing there has always been small, and it remains small, but there have been some expansion of facilities. This gives evidence to the importance the regime has placed on cracking down on smuggling, illegal crossings, and being able to catch all of the revenue the state is owed. As with Hoeryong, Namyang has been experiencing major changes throughout the city. 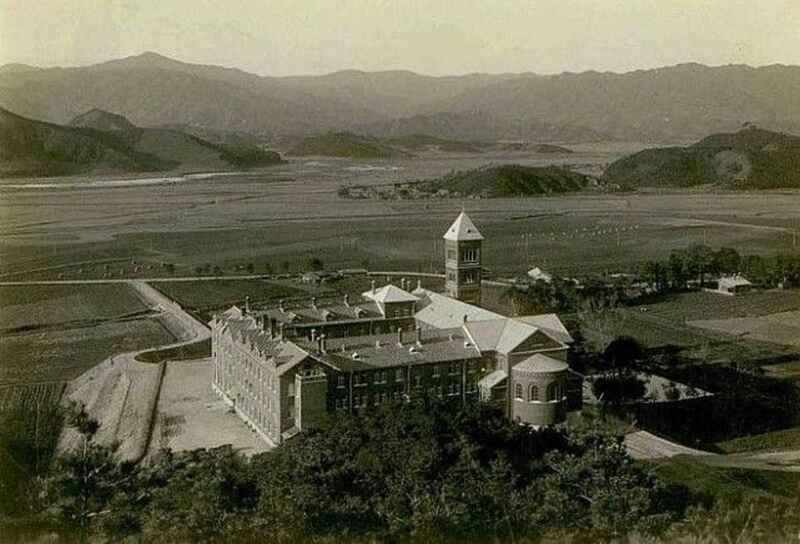 New housing, new schools, and an enlarged border crossing connecting Namyang to the much larger Chinese city of Tumen. 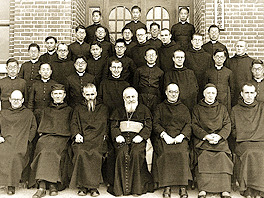 Roughly 57% of Tumen's population of 136,000 are of Korean descent. This makes the city a natural trading post, and so the growth of Namyang has become more important as trade with China has continued to heat up (despite sanctions) for many years. Control over the area is also important as most North Korea defections happen along areas with China where there is a strong ethnic Korean population. The original road bridge was only wide enough to carry one-way traffic. The new bridge looks to be able to carry two lanes of two-way traffic, greatly enhancing commerce in the region. Located in the special economic zone of Rason (Rajin), the slow expansion of the Wonchong border crossing has been underway for over a decade, but the final push to completion has happened in the past three years. The crossing expansion is part of a larger process of strengthening infrastructure ties from Rason to both China and Russia, including highways and port facilities. The new bridge allows for two lanes of two-way traffic, whereas the original crossing was only wide enough for vehicles to come through single file. Under the Trump Administration, China has taken an intermittently harder line to enforcing UN sanctions, where it had been a notorious weak spot. Regardless, limited legal trade keeps growing and illicit trade (specifically among private and local actors) remains a much-needed lifeline for North Korea. 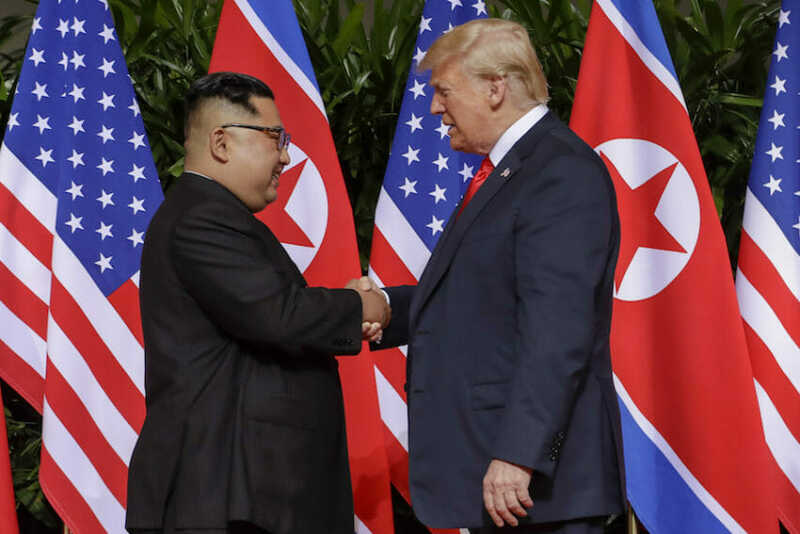 Kim Jong Un's continued placement of importance on these border crossings shows his intentions to keep trade going and, perhaps, his hopes that sanctions will be lifted and so the country better have the infrastructure to deal with the volume when the floodgates open. This Google Map shows all of the different active and former border crossings with China, Russia, and South Korea.